Winner of 15 Emmy Awards, 44 Discs 9 Seasons, All 210 Episodes, Over 1000 Hours Special Features Bloopers And Deleted Scenes, The Late Show Wih David Letterman Appearance Of Ray Romano That Inspired The Series, The First Six Years Retrospective - A Look Back At The First Six Seasons Of EveryBody Loves Raymond With Celebrity Interviews, Two Museum Of Television & Radio Panel Discussions With Series Creator Phil Rosenthal And The Show's .. 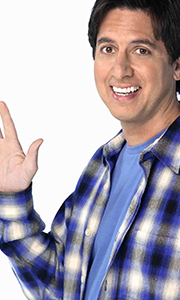 Stand up comedian Ray Romano stars as Ray Barone, a successful sportswriter and devoted husband to Debra (Patricia Heaton, Beethoven), who must deal with his brother and his parents, who happen to live across the street. Frank (Peter Boyle, While You Were Sleeping) and Marie (Doris Roberts, Remington Steele) love to meddle with his life, while older brother Robert (Brad Garret, Suicide Kings) sometimes resents his success. Nevertheless,..